Organized in partnership with the Czech quarterly for contemporary poetry Psí víno, platform Displej.eu and the Vermin on the Mount reading series. Run thanks to the support of the Ministry of Culture Czech Republic, The City of Prague Council, Linhartova nadace, tranzitdisplay gallery, the Irish Department of Foreign Affairs and Trade, Hungarian Cultural Institute Prague, Nederlands letterenfonds – Dutch Foundation for Literature and the Centre for Information on Literature Bratislava. 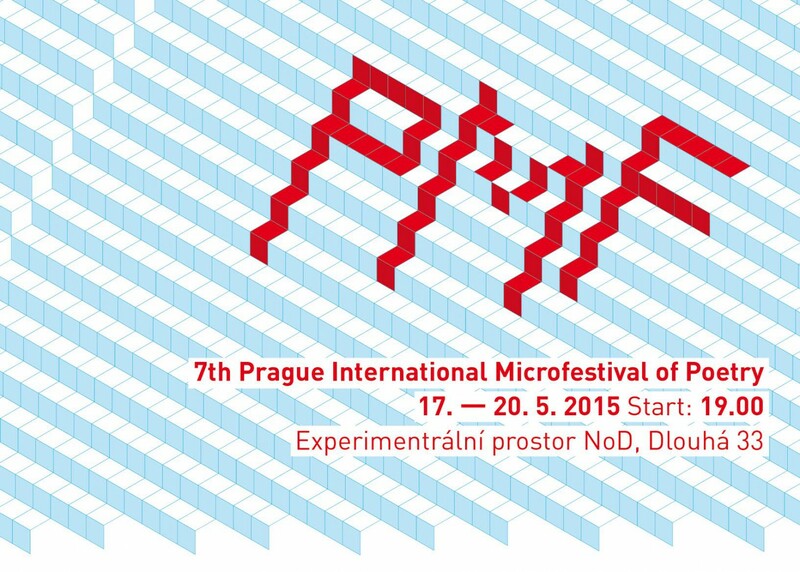 Prague International Microfestival (PMF) came about in an effort to resuscitate the Prague International Poetry Festival, which took place in 2004, a major undertaking on the scale of the Prague Writers’ Festival, with over 40 writers participating from over 20 countries. One of the goals of Prague International Poetry Festival was to be integrated into the local culture, with events in established local reading venues, and foster a dialogue among writers and the audience members. PMF’s history proper dates back to April 2009. Since that time, PMF evolved into a fully bilingual, vibrant and dynamically growing Prague-based platform which has hosted many notable authors from 16 countries (and counting). These have included Alice Notley (the 1998 Pulitzer Prize and 2007 Lenore Marshall Award laureate), the American conceptual writer and global enfant terrible Vanessa Place, Pierre Joris (the recipient of the 2005 PEN Award for Poetry in Translation), Barrett Watten (the laureate of the 2004 René Wellek prize), Keston Sutherland, Paal Bjelke Andersen etc. They have read alongside experimental and exciting Czech authors, both established (such as Jaromír Typlt, the recipient of the 1994 Jirí Orten prize) and young (Ondrej Buddeus, the laureate of 2014 Magnesia Litera Prize). PMF’s aim is twofold: to invigorate the Czech literary scene with up-to-date creative impulses from abroad (so far, those have been linguistically experimental poetry, intermedia writing, conceptual poetry, poetry performance and poetry collective) and to put Prague back on the map of global avant-garde capitals. Despite its growing importance on European scene, PMF remains integrated into the local culture, its friendly atmosphere fostering dialogue of the best contemporary poets from Europe and beyond with local writers, students and members of the general public. PMF has consistently spawned professional ties between authors, publishers, periodicals, cultural organizers, translators and academics and launched the careers of several talented young translators, cultural organizers and artists. For more on PMF history, feel free to visit the previous years’ websites.